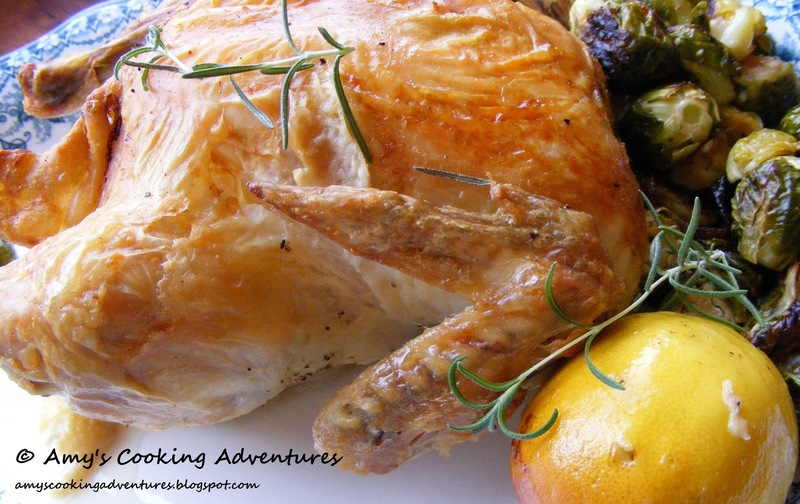 Nothing says homemade like a roasted chicken. The house smells so good while it is baking and (if you have string) you can truss the chicken into a beautiful presentation. This recipe is a simple twist on a classic. The lemon and rosemary give off a wonderful aroma while baking and add just a subtle hint of their flavors to the chicken. 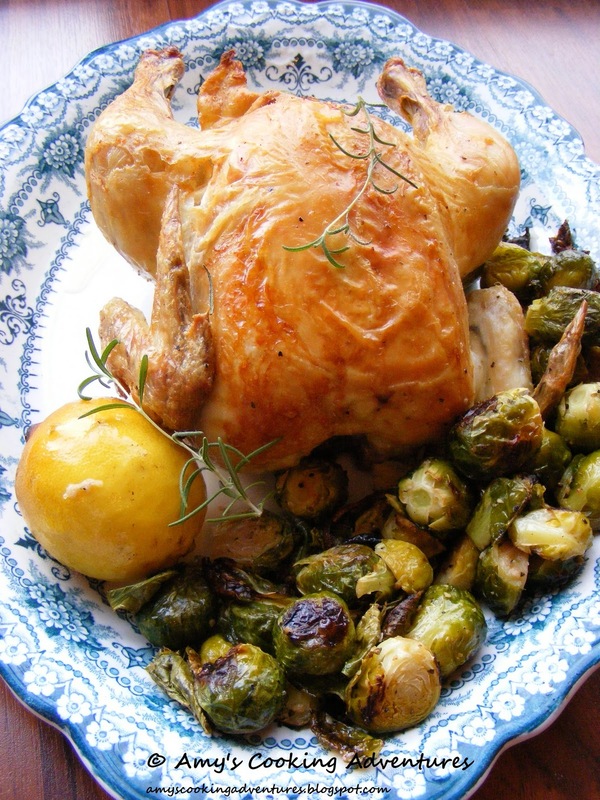 Just toss in a pan of Brussels sprouts while the chicken cooks, and you’ve got yourself a meal! Preheat oven to 350 degrees. Clean and rinse chicken thoroughly. Tip chicken on its side for 10 minutes to completely drain. Meanwhile roll the lemons firmly against the counter and pierce at least 20 times with a toothpick. Thoroughly season the chicken, inside and out, with salt and pepper. Place whole lemons and sprigs of rosemary inside the chicken’s cavity. Secure the cavity closed with a toothpick. If you have kitchen string, now is the time to truss your chicken. Place the chicken in a roasting pan breast side down. Bake uncovered for 30 minutes. Turn heat up to 400 degrees. Carefully flip the bird and continue cooking for another 20 minutes per pound, about 50 minutes for a 3 ½ pound chicken. Cover loosely with tin foil if the chicken starts to brown too much. Once the chicken is fully cooked, let rest for 15 minutes outside of the oven before serving. I love the crispness of the skin. Looking good with those roasted brussel sprouts. This looks so good! And so easy!! I love it! Yum - this looks great and I am a big fan of the brussels sprouts!